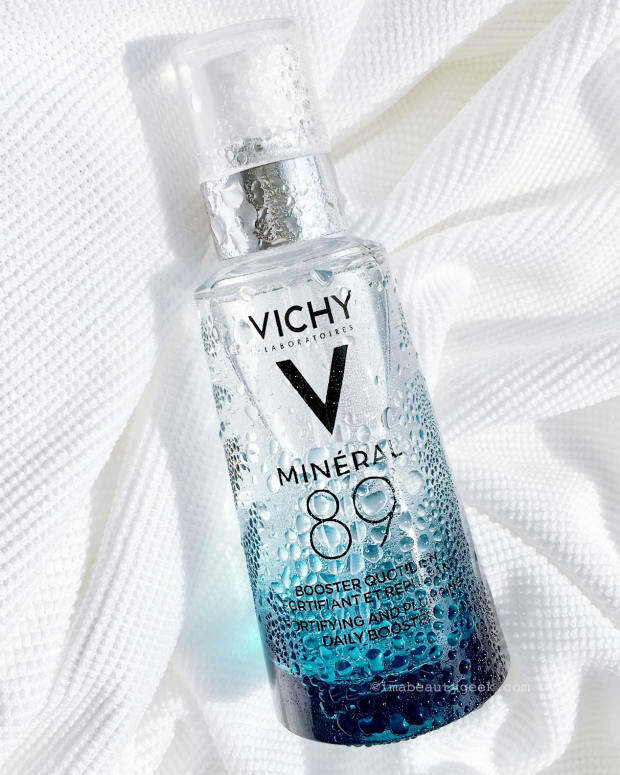 Vichy Aqualia Thermal has been reformulated in a major way for 2018, and I think you&apos;re going to like it. I also think it&apos;s rather a big deal: at least a couple of the changes are exactly the updates I&apos;d like to see from some other mass skincare companies. Incidentally, hydrating skincare – more about water than emollients – is important right now because summer stealth-siphons the skin&apos;s natural moisture whether we&apos;re out in the heat or revelling in the A/C. 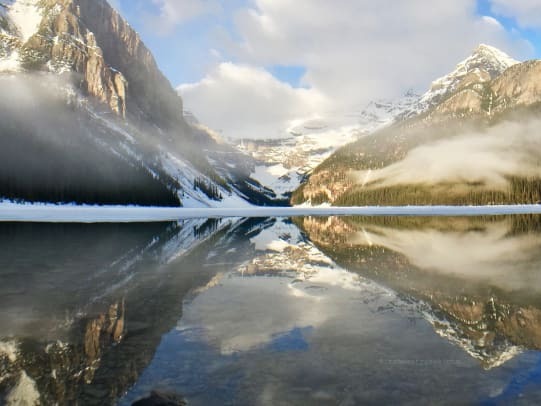 The sun is the top cause of dehydrated skin, says dermatologist Sonya Abdulla, a doctor with Dermatology on Bloor in Toronto. 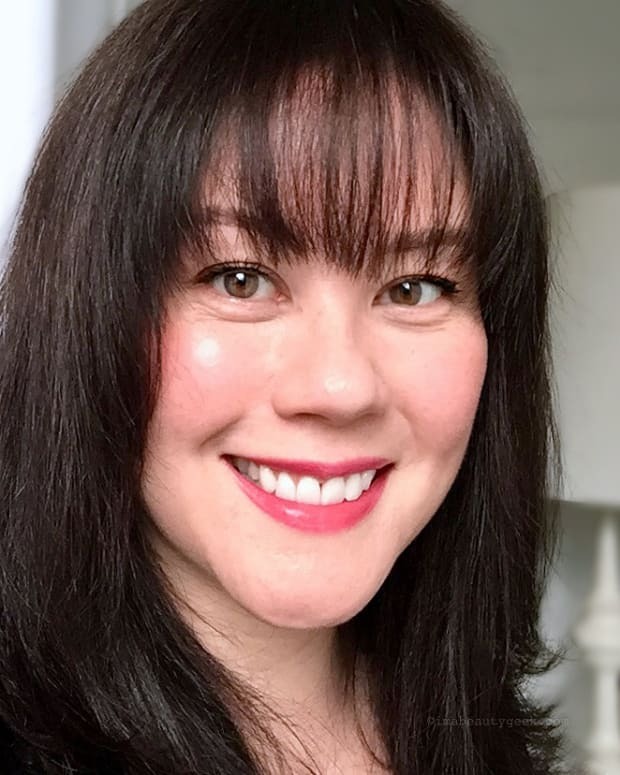 "With my patients, we use phototherapy or light-based treatments to help conditions like psoriasis or eczema, and the biggest side effect of that ultraviolet light exposure is dehydrated skin." Other factors include age – skin retains less and less water as we get older, blah blah – as well as smoking, alcohol, and air-conditioning or central heating. Washing in too-hot water dehydrates as well, as does washing in hard water, says Dr. Abdulla. I&apos;ve used Vichy skincare on and off since the mid-2000s when I was at Canadian Living and tried the original Aqualia Thermal line. One application of the night cream changed my skincare life. I&apos;d just got my breakouts under control and my skin smooth via twice-daily applications of Neostrata&apos;s 8% glycolic-acid toner. On top of that, I used only a light moisturizer AM and PM. My complexion looked decent, clear of acne, and oily. But when I looked in the bathroom mirror the first morning after trying Vichy Aqualia Thermal Night Cream, I couldn&apos;t stop staring: my skin just glowed. That was the instant I realized that for me too-oily skin goes hand-in-hand with dehydration and that I needed to take hydrating care seriously. (According to Dr. Abdulla, dehydration is a skin state rather than a skin type – yet it&apos;s the norm for my complexion... *shrug*) As well as switching on a magic light under my skin, considerably boosting the moisture level tempered the oil slick too, giving me a luminous complexion I&apos;d never thought I&apos;d have, a luminous complexion I&apos;d longed for throughout my blemished 20s. Would just any night cream have had the same result? Maybe, but I chose Aqualia Thermal back then because it was a fairly basic formula, focussed only on giving thirsty skin a drink – it had no exfoliating ingredients (such as retinol) that would be too much on top of my potent glycolic toner. In fact Aqualia Thermal became the skincare recommendation I made most often to my mostly Asian-with-oily-skin bridal clients in the years I was a freelance makeup artist. 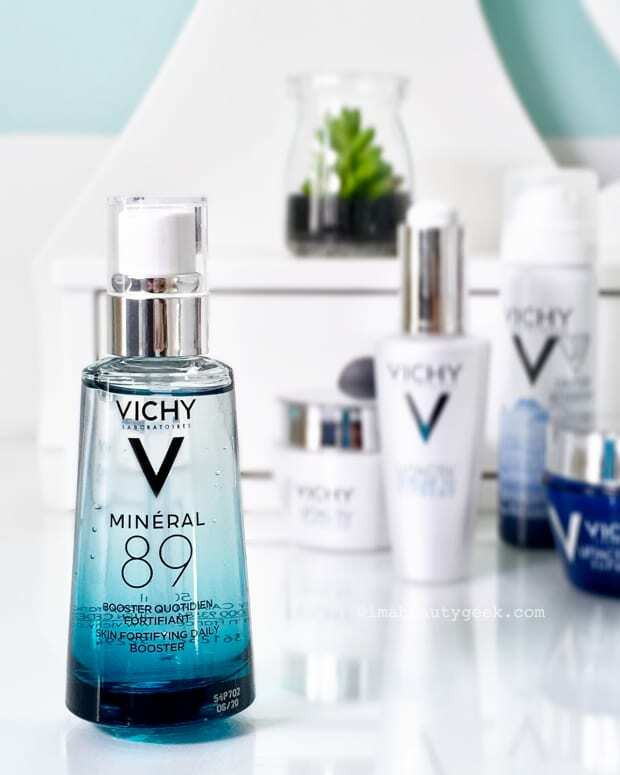 Right now I&apos;m actually using Minéral 89 (adore) and Vichy LiftActiv, which my skin really likes (in fact, I&apos;m a Vichy LiftActiv &apos;Ambassador&apos;). But I&apos;m a bit obsessed with the reformulated Aqualia Thermal serum, and will absolutely be dipping into the lighter moisturizers this summer. Let me tell you why. 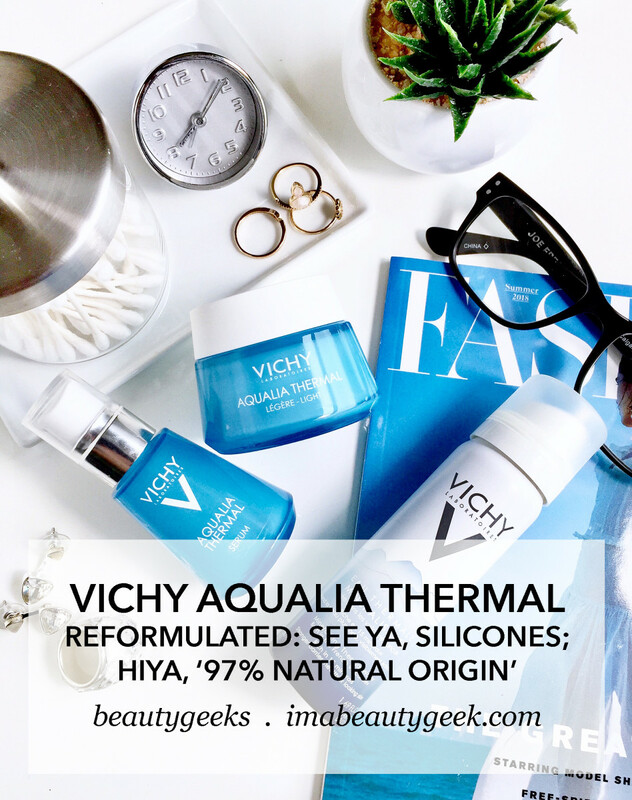 Reformulated Vichy Aqualia Thermal is silicone-free and the moisturizers are now 15% thermal water. zero silicone: yep, sayonara cyclohexasiloxane and dimethicone. Does anyone else feel as though removing the silicone modernizes the formula? I&apos;m not an all-natural devotée, but I do prefer silicone-free skincare because I like to layer serums under my moisturizer and pull from different lines. In that situation, silicone sometimes results in product pilling up on the skin. NOTE: the newly silicone-free products are easily identified from the rest of the existing collection via new packaging (cute shape, but a major pain in the carry-on because the broad bases make them an awkward fit in TSA baggies, fyi). salicylic acid: both the new Vichy Aqualia Thermal Serum and Gel Cream contain a hit of salicylic acid. According to Vichy, it&apos;s been added only to the formulas that are particularly attractive to oily skin in order to help keep pores clear, but in such a mild concentration that it won&apos;t irritate dry and sensitive skin types. 97% natural origin: to me this is a bit more of a marketing thing, buzz-wordy. Heck, I used it in the hed for this post. But most of us understand that "natural origin" doesn&apos;t mean natural, right? You know how an iPhone photo can go through what seems like 19 filters before being posted to Instagram? Natural ingredients can undergo all kinds of processing before they land in a jar, at which point they might be as close to their natural origins as some Instagram-makeup snaps are to the original images. You&apos;ll also see the Vichy Aqualia Thermal line referred to on the new boxes as "isotonic." That&apos;s another marketing thing meant to convey that the formulas contain a complex of sugar, salt and other minerals similar to our natural moisture, and are thus ostensibly easier for the skin to absorb and use. Yes, the updated Vichy Aqualia Thermal formulas contain fragrance, although I&apos;m relieved it&apos;s not terribly strong. As a concession to sensitive skin, though, Vichy&apos;s gone with "hypoallergenic" – reduced allergy – scent. As I understand it, that means an uncomplicated blend, made with components less likely to cause reaction. The new Vichy Aqualia Thermal formulas are available now via vichy.ca and non-affiliate londondrugs.com, which delivers across Canada. They should soon also be available at target.com, walgreens.com, ulta.com, escentual.com, and these non-affiliate retailers: beautyboutique.ca and vichyusa.com. So what do you think of all this? Has any of you ever tried anything from the Vichy Aqualia Thermal range? If you hadn&apos;t considered it before, would any of the changes make it something you&apos;d consider now?